Working to repair or rebuild your credit can be a daunting task. It seems, and sometimes is, complicated, and there are a lot of questions that may go along with it. 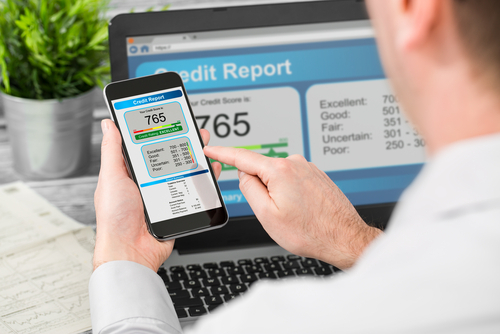 What purpose does your credit report or credit score serve? How can you avoid credit pitfalls? How can you improve your credit history if you’ve had problems in the past? You don’t have to be a financial expert to start improving or repairing your credit. Just routinely tracking a few simple indicators can help you get that excellent credit score you dream of. 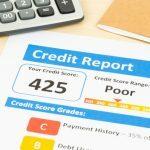 Your credit report is one of the main tools creditors or lenders use when you’re applying to open a new line of credit or taking out a loan. It includes your credit history, open accounts, current debt, credit limits, payment history and more. It’s the key to knowing your credit, getting lower interest rates and even saving yourself from embarrassment when applying for a credit card or to borrow money from a lender. Your credit report isn’t just for lenders. It’s a great tool for you to use also. It’s a good idea to routinely check your credit report because it might lead you to errors, discrepancies or fraudulent activity. When you do check it out, make sure everything looks familiar and accurate. If something seems wrong, contact the agency that issued the report to find out what your next step should be. Making your payments on time is one of the most important things you can do to improve your credit score. Have you ever missed a payment? It’s embarrassing and costly to make it up, but creditors want their money, so they’ll often help you catch up. The last thing you want is to let an account become delinquent and go into collections. That has one of the biggest negative impacts on your credit score. You’ve probably heard that if you’re applying for a credit card and you’re denied, there’s a ding on your credit report. That’s true, but as long as you don’t submit too many applications too quickly, it won’t be a major concern. Being armed with your credit score and credit report can be a huge help when it comes to self-estimating your chances for approval. Remember that applications stay on your credit report for up to two years. FSU Credit Union has tools and employees to help you continue to build your credit. FSUCU cards have competitive annual percentage rates, no monthly fees and there are multiple cards to choose from. If you want to check your credit report, check out AnnualCreditReport.com for more information. Need to start working on your credit? FSUCU’s Credit Re-Builder Loan Program was developed to allow members with a colorful credit history to access credit and demonstrate their ability to repay, thereby rebuilding a positive credit rating. If you’re interested in opening a new credit card with FSU Credit Union, check out this page to decide which card is best for you and get the application process started.